This is a great introduction to life in New Orleans, both past and present. An international city, New Orleans is famous around the world for her history, her generosity, and her cultural contributions. Not your ordinary tour, it's designed for the experienced traveler who seeks to go beyond the humdrum into a genuine understanding of the city's remarkable culture. Gather in the Courtyard of a gracious Creole Cottage and learn of the mysteries of colonial life such as placage. Hear remarks on the influence of European and African settlers while soaking up the unique ambience provided by lovely Spanish 18th century and fashionable 19th century architecture along storied Toulouse and Royal Streets. Find out about the dashing Jean Lafitte, Napoleon, the garçonniere, the Code Noir, and the effect of the American Civil War along the banquettes of the lovely rue Chartres all the way to Jackson Square, the Pontalba Apartments, and the stunningly beautiful St. Louis Cathedral, America's oldest Catholic cathedral. Slip down picturesque Pirates Alley to the homes of William Faulkner, Truman Capote, and Tennessee Williams, as well as the newly- landscaped St. Anthony's Garden, playground of a young Lillian Hellman. 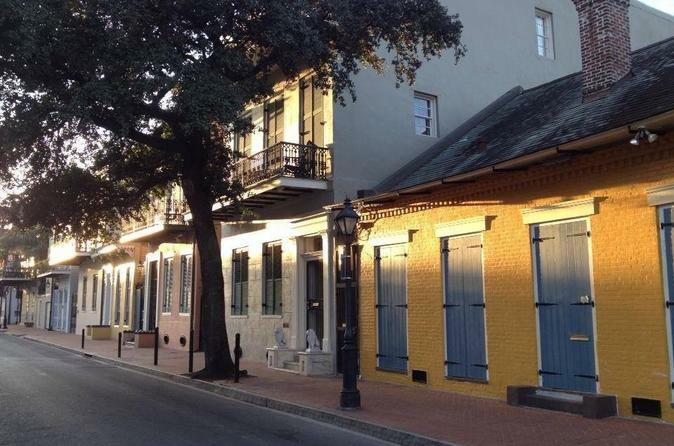 Enjoy an introduction to the Cabildo, the Presbytere, and Madame John's Legacy, as well as many other highlights such as the Beauregard-Keyes Mansion and the Ursuline Convent, New Orleans' oldest building, before culminating at the charming, Cafe Amelie. The tour is led by a local native and long-time resident of the French Quarter.